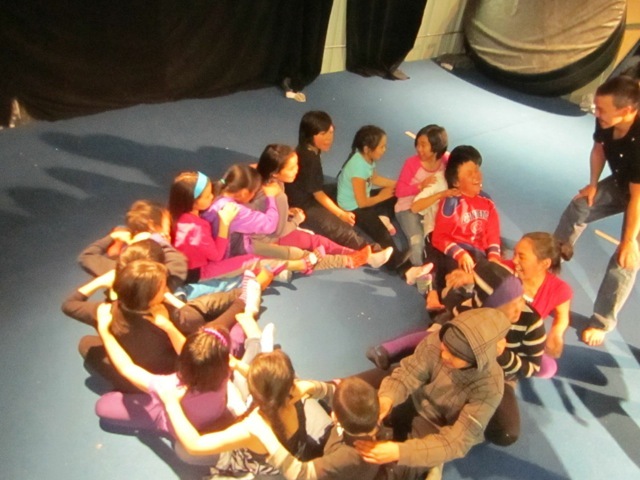 Artcirq is a community-based circus and multimedia company composed of northern and southern artists and based in Igloolik, Nunavut, Canada. 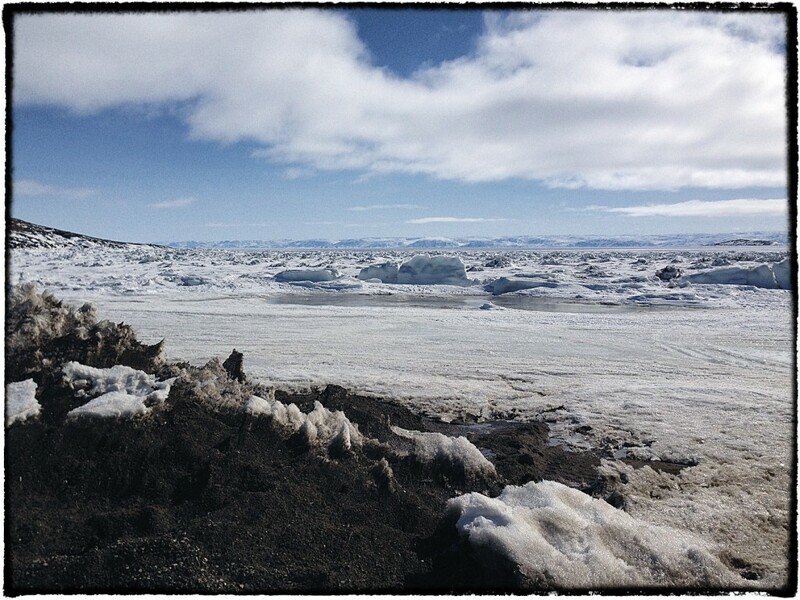 The project began in 1998, co-founded by Isuma Productions, a film production company based in Igloolik, and Guillaume Saladin, an acrobat originally from Montreal. 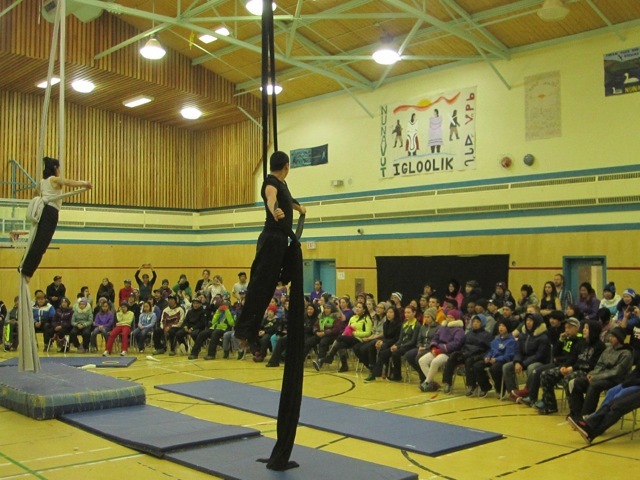 The intention behind the initiative was to prevent suicide by engaging the youth from Igloolik in meaningful activities. ARTCIRQ was seen as a way to give a voice to young people in a community where school dropout and suicide rates are high, particularly among young men. 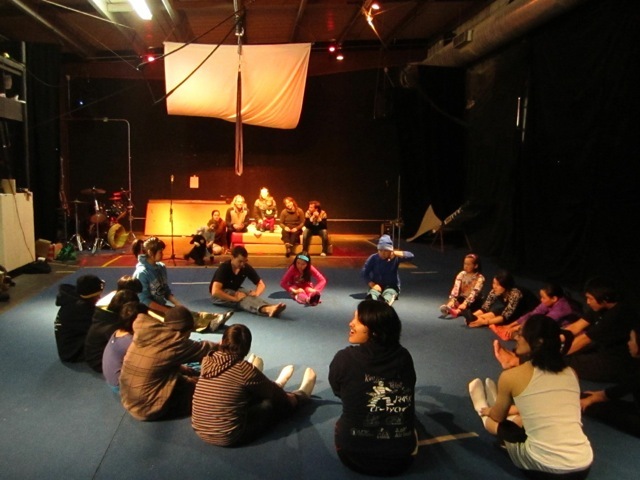 Artcirq is a nontraditional circus, blending techniques of modern circus such as juggling and acrobatics with elements of Inuit culture, including throat singing and drum dancing. In the last 13 years, ARTCIRQ and Les 7 doigts de la main have worked together on many different projects. These included many trips of one of our founders, Patrick Leonard, in Igloolik to participate in workshops, many collaborations between our artists and artists from Igloolik, and the presence of ARTCIRQ artists, along with mexican artists, in one of our Fibonacci Project. 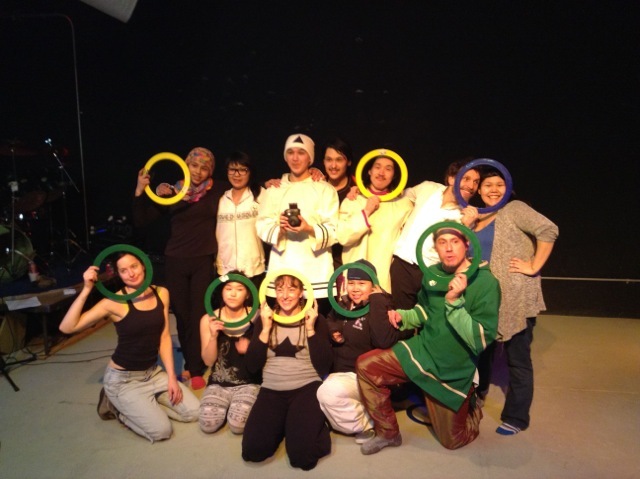 Last April, Patrick Leonard and Geneviève Drolet (hand stand performer) were back to Igloolik for a three weeks workshop at the Black Box, with Articrq and Circinq. Daily training sessions were open to the community, a powerful way to encourage people to get back in shape and to upgrade their technique, but more importabtly, to help young Inuits to develop trust in each other and to have fun with friends! At the end of those three weeks of outstanding human interaction and circus performances, everyone involved in the initiative performed on stage, for three representations, at the Black Box! At the end of those 3 weeks of Indescribable human exchange, circus performances, they performed all together 3 shows at the Black Box !